The Language Technology Lab is committed to implementation of various theories and methods of effective communication between humans and machines in natural language. The lab’s research in a variety of natural language processing technologies, such as sentiment analysis, information extraction, and machine reading comprehension, which have received wide applications, including customer service, information services, criminal justice, and medicine. Research in morphology, syntax, multi-language, knowledge representation and reasoning and relevant technologies to support the creation of natural language technology and applications for Alibaba business economy. These services are used more than 800 billion times per day. Research in natural language understanding, semantic analysis and relevant technologies, which are applied to question and answering, text summarization, and textual entailment/inference. Research in sentiment analysis, text classification, speech-based information retrieval, recommendation algorithms, text generation, and event extraction, which are applied in various scenarios, such as E-commerce, communications, criminal justice, and information service. Research in vocal (voice-based) and multi-modal (image-based) machine translation. The resulting technology supports more than 20 languages, including Chinese, English, Russian, Spanish, Thai, and Indonesian, and is called for real-time use with Alibaba services for more than 700 million times per day on average. Ali Reader could understanding user request and queries by using algorithms to analyze related unstructured text (documents, descriptions, web pages, and so on) to summarize answers It has a wide range of applications in customer service, information services, training, and other scenarios. Many Alibaba products are using Ali Reader, including Alicare, Alimebot, and Intelligent Service Robot. Each product was released quickly and efficiently with fully-established question and answer capabilities, reducing the manual pre-processing workload. Ali Tran could break multi-language barriers between buyers and vendors by using machine translation, cross-language retrieval, and linguistic lexical analysis technologies. 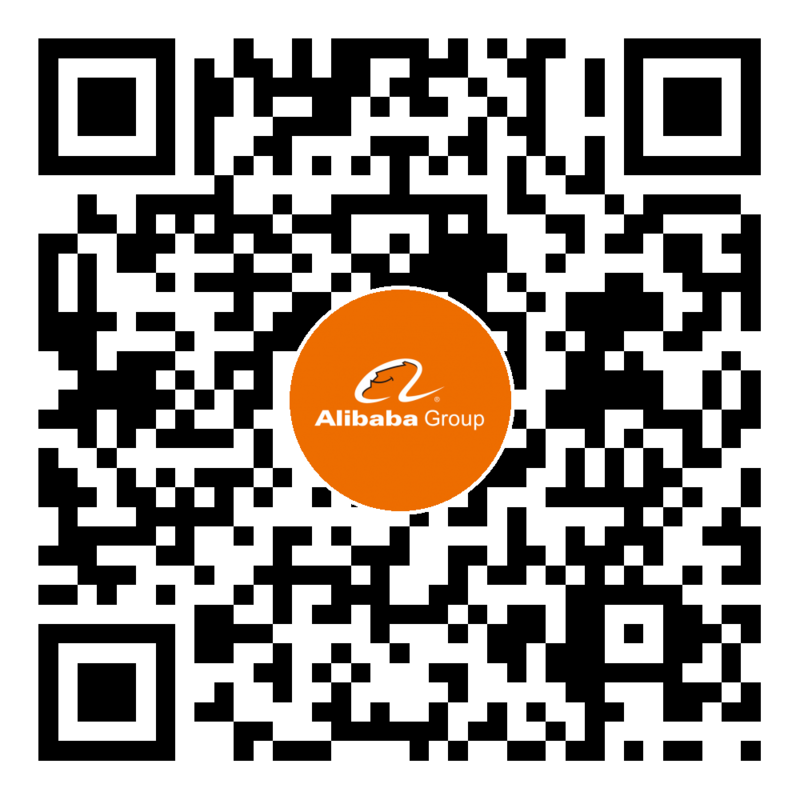 Alibaba translation technology has won many international competitions and is widely used in Alibaba business units, including Alibaba International B2B, AliExpress, and the Lazada cross-border e-commerce platform, with more than 700 million usages per day. In the future, Ali Tran will be integrated in Alibaba Cloud production to support and improve cooperation partners business. Ali NLP based on a variety of NPL technology, including text data collection and processing technology, multi-language analysis technology for vocabulary, syntax, semantics, text distributed representation technology, and vertical technologies (sentiment analysis, text anti-trash, and Q&A), with more than 800 billion usages in service scenarios per day. Alibaba collaborate with Supreme People's Court of Zhejiang and Zhejiang University to create "judicial brain." The judicial brain utilizes DAMO Academy’s strengths in text generation, knowledge graph, information extraction, deep neural networks, and information retrieval to comprehensively organize legal knowledge, summarize evidence standards, refine trial rules, deconstruct cases and regulations, and form judicial knowledge graph to help judges to pre-adjudicate in real time and provide adjudicative reference documents. Judicial brain presents tailored solutions in the form of customized algorithms to users. This system utilizes NLP technology and medical knowledge graph to carry out in-depth quality control analysis of medical records, promote high quality of medical records in writing, improve the effectiveness of medical treatment, reduce medical risks so that medical staff can be free to focus on management, education, training and so on. The system is working on build national data platform for tracking China’s patient population to continuously improving the healthiness of Chinese citizens. He holds a Ph.D. from Carnegie Mellon University, USA. Before joining Alibaba, he was a tenured professor of computer science at Purdue University. Mr. Si has supervised multiple projects that received funding from the US government and industry. He also won the Career Award from National Science Foundation of the United States and awards for his innovative research from Yahoo! and Google. He has published more than 150 widely-cited academic papers. 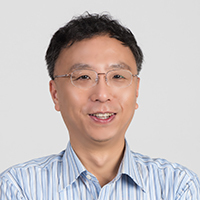 Mr. Si previously served as the Associate Editor of the Editorial Committee of ACM Transactions on Information Systems (TOIS), ACM Transactions on Internet and Information Systems (TIIS), and Information Processing and Management (IPM). He has also held many important positions with international academic conferences, including Program Chair of the 2016 ACM CIKM. He holds a Ph.D. from Carnegie Mellon University, USA. He is focusing on multi-modal MT (IM, speech, image and video translation), unsupervised MT, etc. Before joining Alibaba, he led the MT Research at Facebook Applied Machine Learning Department. He was a senior researcher at IBM Watson. he has conducted research in multilingual NLP, machine translation, information extraction and speech recognition. He published numerous papers at AAAI, ACL, EMNLP, NAACL, etc., served as area chairs at ACL and NLPCC, senior program committee member and reviewers of many journals and conferences. She graduated from Brown University with a Ph.D. in Computational Linguistics. She spent the next 18 years at IBM Research focusing on NLP and Machine Translation. 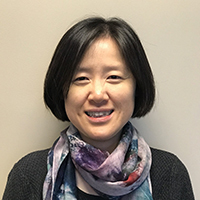 Her research interest includes mathematical models of syntax,semantics,and pragmatics .In NLP, she has worked on applications ranging from dialogue systems to smart education. In Machine Translation, she has worked on Arabic, Chinese, English, French, Spanish, German, Italian, Portuguese, and Russian. He holds a Ph.D. from the Chinese Academy of Sciences. 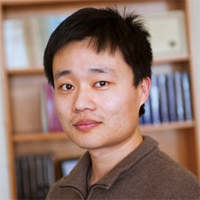 His research interests include machine translation, NLP, and machine learning. Prior to Alibaba, Dr. Chen was a postdoctoral researcher at Grenoble University, France and FBK-IRST, Italy. He also worked as a researcher at the Institute for Infocomm Research, Singapore, and at the National Research Council of Canada (NRC). He has co-authored more than 50 papers for academic conferences and journals, and his work recevied the Best Paper Award at the MT Summit 2013, and was nominated for the Best Paper Award at the ACL 2013. He is an experienced reviewer and program committee member for all top conferences and journals in the field of natural language processing. 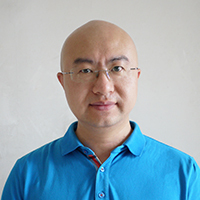 His teams achieved outstanding results in various machine translation evaluation competitions, including the first place in the translations of five language pairs at the WMT 2018, Russian-to-English translation at the WMT 2017, Chinese-to-English translation at the NIST 2012 and the IWSLT 2007, and the IWSLT 2005, etc. He built and led the team that is responsible to construct Alibaba's international translation technology infrastructure and supported the development of international business such as the Alibaba.com, AliExpress, and LAZADA. Before joining Alibaba, he got his Ph.D degree from and served as a senior engineer at the Intelligent Information Key Lab of the Institute of Computing Technology, Chinese Academy of Sciences,. Luo is the principle investigator or core member of more than ten major national special projects and natural science fund projects. He has long been engaged in the R&D and engineering industrialization of machine translation technology. 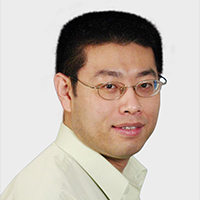 He holds a Ph.D. in computer science from Zhejiang University and was a researcher at the University of Wisconsin-Madison. 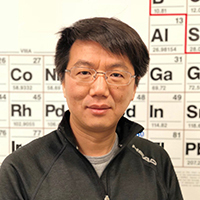 His current research focus on information extraction, knowledge discovery and natural language interface.His research have been published at premier conferences and journals. He holds a Ph.D. from Syracuse University, USA, and is engaged in the research of text mining of natural language processing. Before joining Alibaba, he was a tenured professor at the School of Information and Computing, Indiana University Bloomington. His research interests include information retrieval, natural language processing, text mining, web mining, and human computing. 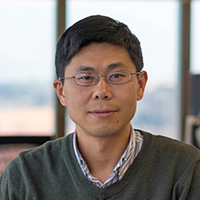 Dr. Liu has led a number of research projects funded by the US national funding agencies. He has also published papers in relevant top conferences and journals, along with serving as a reviewer and chairs of well-known conferences and journals. She graduated from Saarland University, Germany with a Ph.D. in Computer Science. Her field of study is natural language processing. 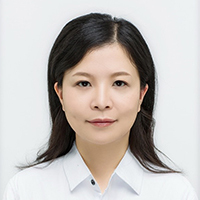 She leads the NLP foundation team in Alibaba, focusing on building general and customized NLP platforms. She is the tech lead of the AliNLP platform which serves billions of NLP requests every day for Alibaba’s worldwide business solutions. She previously worked as NLP researchers for Microsoft in Oslo, LIMSI-CNRS in Paris and Baidu in Beijing. Her research work has been published at top NLP conferences such as ACL, EMNLP, NAACL, EACL, COLING, and journals such as Computational Linguistics. In 2018, the Language Technology Lab won five first-place awards for automatic machine translation evaluation at the Workshop on Machine Translation (WMT). They also won first prize for six sub-task translation quality evaluations. At the 2018 International Semantic Comprehension Evaluation Conference, the Language Technology Lab won contests in event extraction, semantic extraction, and upper and lower word mining. In 2018, the Language Technology Lab ranked No. 1 in the Q&A session of the Trivia QA Web hosted by the University of Washington. In 2018, for the first time in the history, Alibaba's accurate machine reading technology surpassed human reading results in the famous SQUAD Machine Reading Comprehension Competition organized by Stanford University. In 2017, the Language Technology lab won all three levels of the Chinese Grammatical Error Diagnosis Contest. In 2017, the Language Technology lab received first place in the English Division of the Categorized Competition for Information Extraction, organized by the US National Institute of Standards and Technology.